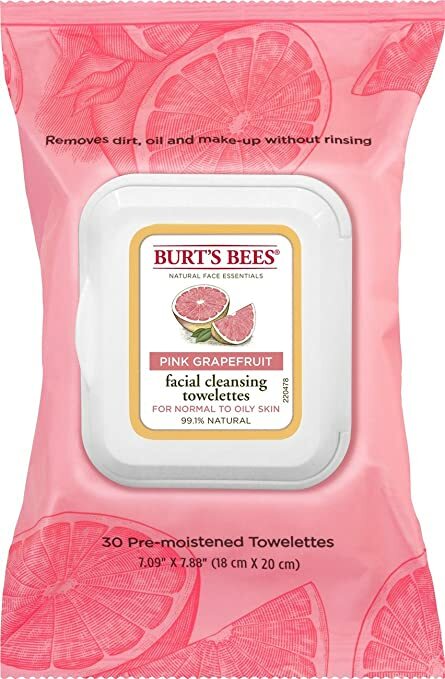 Burt’s Bees Facial Cleansing Towelettes (Pink Grapefruit) is the only makeup removing wipes we have on this list. We particularly included it in our top products because of its effectiveness in removing dirt and makeup on the go. We also liked that it has pink grapefruit to ward off the acne-causing bacteria on your skin. If you are not a fan of makeup wipes, Earth Science Chamomile and Green Tea Eye Makeup Remover is a good choice, particularly if you're a heavy eye makeup user. It works really well in removing waterproof mascara and eyeliner. It has an herbal formulation which makes it great for sensitive skin. Its consistency, however, can be a real major deal breaker. Another herbal makeup remover on this list is Herbal Choice Mari Organic Makeup Remover. It claims to be completely free from synthetic and harmful ingredients, such as SLS and parabens.It doesn't contain alcohol and fragrance as well. Banila Co Clean It Zero Resveratrol, on the other hand, is a popular choice among makeup enthusiasts. It's similar to lard in consistency inside its jar but turns liquid once in between your hands. We recommend it if you have large pores and excessive oil production. However, if your skin is sensitive, you might as well skip this product. The last on our list is IT Cosmetics Bye Bye Makeup. Similar to Banila Co, it's also a cleansing balm. At the same time, it's also a hydrating cleanser and serum. Take note that this product is the priciest on in our list. This Burt’s Bees Facial Cleansing Towelettes is specifically formulated with pink grapefruit. This ingredient is known to have antibacterial properties to combat acne-causing bacteria. It can also help tame excessive oiliness. Each pack contains 30 counts of pre-moistened towelettes. Take note that these towelettes are not that durable; they can tear if used with too much pressure against the skin. It’s a good go-to makeup remover if you’re looking for a quick way to cleanse your face from dirt and makeup. It claims to be free from parabens, petrolatum and even phthalates. The packaging of this product is a plus factor since it comes with a sealable lid. Other towelettes typically have resealable plastic covers which makes them prone to bacterial build-up. One downside of this facial cleansing towelette is that it may not be enough for some people who use waterproof makeup heavily. If this sounds you, using even the best makeup removal wipes for acne prone skin may not be enough. It’ll be better for your skin if you try a different makeup removal technique, such as the oil cleansing method. If you’ve been struggling with finding a good makeup remover that can help you get rid of your waterproof eye makeup, then this product shouldn’t be out of your list. Containing soothing ingredients, like chamomile, Earth Science’s makeup remover is a treat for your skin. It also has hyaluronic acids and green tea extracts for added skin protection. It can remove makeup while purifying your skin. We particularly like this product because it has herbal formulation. It doesn’t contain fragrance, artificial colors and other irritating ingredients. The product is a bit thick with a gel-like consistency. Some people had difficulty working it on their skin because of its texture. A lot of its users like that it can easily get rid of mascaras and eyeliners. Because it works so well, they no longer need to harshly pull their skin taut or drag cotton balls hard against their skin. This lessens their chances of developing fine lines and other signs of skin aging. Being organic, this product 100% chemical-free. It doesn’t contain paraben, preservatives, or even SLS. Another great thing that we like about this makeup remover is that it’s free from alcohol and fragrance. These ingredients are two of the things you need to steer away from if you want to avoid skin breakouts. Instead of the harsh ingredients you can find in other makeup removers, Herbal Choice Mari Organic Makeup Remover is purely plant-based. It doesn’t sting and works well on skin that’s sensitive and prone to acne. Aside from its capability to remove makeup, it also has nourishing properties. It has organic olive oil, green tea, geranium and bergamot oil. Although it does contain oil, it has more of a creamy texture.The tricky part with this product is its removal. While there are people who didn’t find it sticky, some users find it too thick and greasy after rinsing. 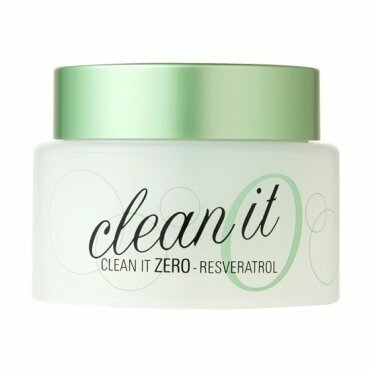 Banila Co Clean It Zero Resveratrol is one of the most raved products when it comes to makeup removal. It belongs to the five variants of the brand’s Clean It Zero line. It’s infused with grapeseed and olive oil to help minimize the size of your pores. As a result, your skin will be less oily and there’ll be less chances for your pores to get clogged. Upon opening its jar, you’ll find the product with a semi-solid consistency. Its packaging includes a little spoon which you can use to scoop an ample amount of the product. We particularly liked this spoon since it makes dispensing a lot more hygienic than using your bare fingers. The product turns liquid once you rub it in between your hands. When working the product on your skin, make sure to rub it for a good 1 to minutes to make sure you get your makeup off thoroughly. 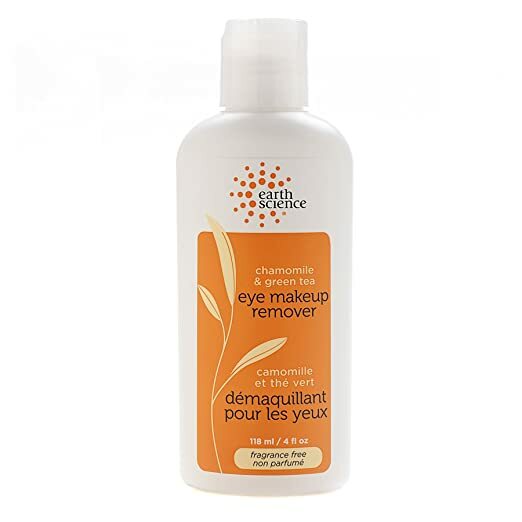 Users of this makeup remover liked that it cleanses really well; they no longer feel the need to use an additional cleanser with this product. If you are the lazy type of person, this product can be your best choice. It erases all traces of makeup without drying your skin or leaving any sticky residue. Banila Co Clean It Zero Resveratrol may cause an issue with sensitive skin since it has fragrance. IT Cosmetics Bye Bye Makeup is a 3 in 1 makeup remover cleansing balm. On top of getting rid of makeup on your skin, this product also acts as a hydrating cleanser and anti-aging serum. As a cleanser, this one isn’t drying. It has deep cleansing extracts and is free from sulfates. Since it’s a balm, you have to take the product out of its jar and melt it in between your palms before applying on your face. After massaging on the skin, most of the product’s users like to leave it on for about a minute to get the most out of it. After use, you’ll feel your skin smoother and softer. Why do you need to add makeup removers to your skincare routine? For acne prone skin, your first answer will probably be to avoid breakouts. While that is correct, there are actually a lot of other things proper makeup removal can do to your skin. One is faster skin renewal. When you remove your makeup, you lift away dead skin cells and impurities, too. This promotes faster cellular turnover to make your skin healthier and more glowing. Another reason why you should use makeup removers is to improve your skin’s blood circulation. As you work your way to remove your makeup completely, you’re also giving your skin a good massage. Good blood circulation means your skin will receive its much-needed nutrients better. And as you get rid of dirt, makeup residues and excess oil, you’re technically giving your skin enough space to breathe. So, how do you get rid of makeup products? The truth is there are actually a lot of ways to get the job done. But, to give you a good idea, here are some of the best ways to remove makeup for acne prone skin. These are the best products for people who are too lazy to get on a tedious makeup removal routine. Makeup removal wipes are pieces of cloths that are drenched in ingredients that loosen up cosmetic products. They are typically gentle to use around the eye area. However, when it comes to effectiveness, they may not be enough to thoroughly get rid of all the products on your skin. Creamy cleansers, like cold creams, are favored by a number of women since they saturate the skin. They help lift off makeup products while leaving the skin hydrated and moisturized. Cleansing oils are your best option if you are a heavy makeup user. They work really well against waterproof cosmetics, such as mascaras and liquid eyeliner. Cleansing water, like the micellar water, is fit for people who have sensitive skin. They are gentle and only need to be wiped off a couple of times to completely dissolve and clear makeup. Makeup removers are great for the skin, especially since they help remove impurities and residues that can clog your pores. Unfortunately, with the wrong ingredients, they can actually make your acne worse. To find the best makeup remover for acne-prone skin, you need to learn how to read product labels. As much as possible, stay away from makeup removers that contain volatile alcohols since they can quickly dry out your skin. Aside from this, you should also steer away from products that contain strong fragrances and chemicals. For your skin’s health, it’s a good idea to invest in makeup removers that contain additional soothing ingredients. This is to help calm your skin redness and irritation. It can also help if you choose products that contain anti-acne ingredients like salicylic acid and benzoyl peroxide. Wearing makeup can make you look more beautiful. It can help boost your confidence as well, particularly if you're dealing with a lot of skin blemishes. However, to prevent breakouts, you need to make sure you get rid of all your makeup before hitting your bed. This will help your skin breathe better and be more capable of repairing itself. Our top choice for the best makeup remover for acne-prone skin is Earth Science Eye Chamomile and Green Tea Eye Makeup Remover. Although it's initially formulated to remove stubborn eye makeup, it's also effective in removing makeup products from the rest of your face. We like that it's infused with soothing ingredients and that it comes with an herbal formulation. It's gel in consistency for a gentler way to remove makeup. Although makeup removers can get rid of all the makeup products on your face, you shouldn’t skip using the right cleanser for your skin type. Washing off your face after using your makeup remover is one good way to make sure that no dirt and makeup residues can clog your pores.